“Yesterday you experienced a partial Lunar Eclipse which connects to the Solar Eclipse only weeks previously. The Eclipses occur as a pair, creating a window or gateway for you to experience higher transformational energies, as well as opening to the messages and wisdom of your Soul. 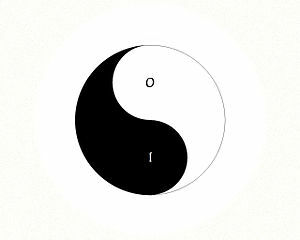 The solar energy is associated with the masculine energy stream (yang), while the lunar energy is associated with the feminine energy stream (yin). Remember that both energy streams flow through all things, all beings, the entire Universe, regardless of form, gender or appearance. These are the energies which express through form and are intended to flow in a balanced, harmonious and dynamic interplay that arises from Source. The masculine and feminine energy streams are the first creative essence energies that are birthed from Source and, in turn, they flow through and birth all other energies in a diverse spectrum of unique expressions and creations. This is the true beauty of Creation – diversity and uniqueness within the harmonizing field of wholeness, Oneness and Unity. 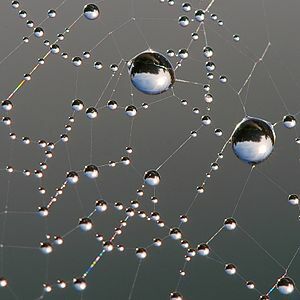 This is the Web of Life – all are one and all are interconnected through the living consciousness of a creative Universe. The masculine and feminine energy streams flow within all and are two seemingly opposite yet complimentary energies that are in fact one – as is shown within the yin-yang symbol, one energy arises from within the other and also holds within it the essence of the other. Thus the two energies are in a continuous, dynamic and harmonious partnership – a sacred dance of Life – a dance of Creation. So too, this is how you have been created, with the sacred creative partnership of masculine and feminine energy streams, yin and yang, flowing through you and infusing you with life force – and so it is with all of the created Universe, expressing the Divine Masculine and the Divine Feminine in wholeness and Oneness. This is your true creative essence and it is this wholeness and harmony that you strive to achieve now in your Earth Dimension. For too long there has been imbalance, distortion and wounding of both the masculine and feminine energy streams, causing the separation and polarity that has resulted in so much suffering and destruction in your world. When masculine and feminine energies are separated, there is also a separation from Source and the state of Oneness. As a collective, you are slowly healing and returning to a balanced state of wholeness and you are being supported by the cosmic energies at this time. The Eclipses speak of this harmonizing process – solar and lunar, light and shadow, masculine and feminine energy – all moving into a balanced state of union and sacred partnership. Today, this is further energized by the Venus Transit as Venus (symbolic of the Divine Feminine) passes across the face of the Sun (symbolic of the Divine Masculine), rising again into Gemini, the sign of duality and seeming opposites. At the same time, Earth, Venus and the Sun are aligned on the same plane showing us that we are shifting now into harmony and partnership, we are integrating into wholeness and Oneness , and returning to a sacred balance. The Venus Transit is also symbolic of the return of the Divine Feminine as she embraces her solar feminine aspects and emerges as the illuminated, expanded and expressive Divine Feminine aspect of the New Earth Consciousness. In this aspect, the Divine Feminine is healed, restored and alchemically transformed in order to lead the way forwards into a new consciousness – bridging all separation, healing all wounding, and awakening Light and Love within all beings. Today I feel is a significant and powerful day for all of us – the changes within us and our world will be profound yet subtle, for I think we will only fully understand these changes through the lens of hindsight – it is only when we look back one day that we will see how far we have come and just how important these times have been. So whatever you are doing today, take a moment to contemplate the Venus Transit, feel the energies that are coming in and know that you are part of the Web of Life, a unique and beautiful being within a sea of Love Consciousness, and One with all that is. All articles are written by Juanita McKenzie and may not be used without the prior permission of the author. To receive permission to reprint these articles please contact me. This entry was posted on Tuesday, June 5th, 2012 at 3:10 pm	and tagged with 2012, balance, channeled messages, channeling, creation, diversity, Divine Feminine, Divine Masculine, Eclipse, Eclipses, Eclipses Occultations and Transits, essence energy, Gemini, Goddess of Wisdom, harmony, masculine and feminine, New Earth Conscioiusness, Oneness, sacred dance of Life, shift in consciousness, solar feminine, Sophia, Soul, Sun, transformation, Unity, Venus, Venus transit, Web of Life, wholeness, yin and yang and posted in Astrology, New Earth Consciousness, Sophia channelings. You can follow any responses to this entry through the RSS 2.0 feed. Thanks Georganne, I enjoyed reading your post – and yes, what an incredible symbol the Venus Transit is for us all. Exciting times we live in! Thank you for your wise and heart-filled sharing – so true that we are all moving through an alchemical journey, expanding and aligning to the Soul, emerging into a new consciousness. There are soooo many changes happening around (and within) us right now. It’s good to know that other sensitives are feeling it as well. It’s also important that we care for ourselves as we witness (and hopefully don’t absorb) all that is occurring. Beautiful site here! Hi Julianna, thanks for reading and glad you have enjoyed the posts. Phew, yes, so much is changing and it is so important for us to maintain our balance through all of this – I am just so glad that we are all able to share our experiences and know that we are not alone in what we are feeling. I am wondering how people are feeling after the Venus Transit? I have been so tired and usually for me this means that a lot of inner changes are being integrated – I think that we are all going to look back at some point this year and realize just how much we have expanded and grown. Exciting times we are in! Agreed. No more wars, agression, distorted sexuality, wrong spirituality!! neither feminine nor masculine should be violent, agressive, but be in a harmony! So true and we can all make a difference in our unique way – harmony, peace and love begin within us.